Every day, I get a chance to speak to Amazon Web Services (AWS) Customers and they ask me, “Why VMware Cloud on AWS?” I tell them, it’s about adding value to your business without added hardware costs; it’s about feeling confident that your business can scale up or down capacity without friction; it’s about getting to the cloud quickly so that you can take advantage of all the cloud offers; it’s about maximizing your existing VMware investments. That was our goal when we decided to set up this partnership between AWS and VMware, an AWS Partner Network (APN) Advanced Technology Partner. 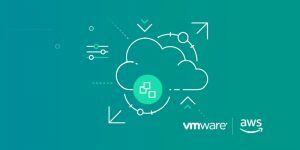 It has been almost one year since we announced VMware Cloud on AWS availability at VMworld 2017. Since our initial launch, when VMware Cloud on AWS was available just in the AWS US West (Oregon) region, VMware and AWS have completed three additional releases. 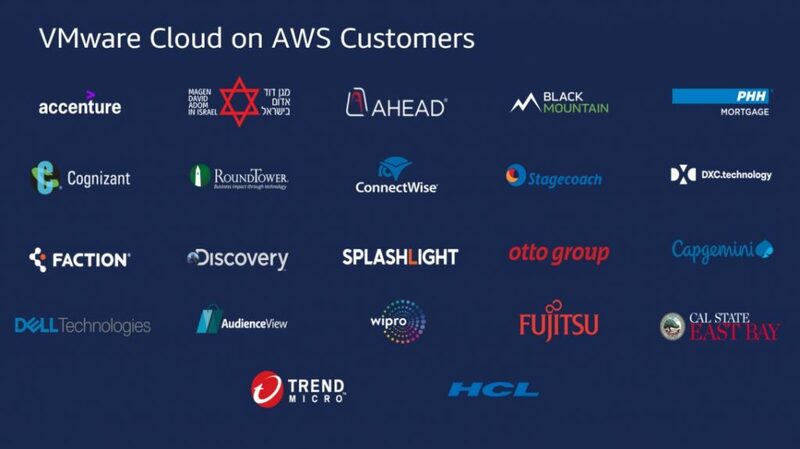 Each has added enterprise capabilities to VMware Cloud on AWS, as well as expanding the service to AWS US East (N. Virginia), AWS Europe (London), and most recently to AWS Europe (Frankfurt). This past June, VMware and AWS reiterated the companies’ commitment to the public sector by announcing a forthcoming service called VMware Cloud on AWS GovCloud (US), which is on the path to secure FedRAMP authority to operate. This focus on continuous innovation and regional expansion is not slowing down any time soon. We plan to continue with more announcements at VMworld and AWS re:Invent this year. At the AWS Summit in New York, we announced additional functionality including the ability to utilize AWS Direct Connect to provide complete connectivity between on-premises environments and VMware Cloud on AWS workloads. This results in a dedicated network connection with higher bandwidth for hybrid cloud environments. In addition, with VMware NSX, customers’ logical networks and management appliance networks are advertised over Direct Connect Private VIF, eliminating the need for separate VPN tunnels. Customers can now use a private hosted VIF for all traffic to VMware Cloud on AWS environments. Working backwards from our customers’ requirements, we have previewed the ability to connect using NSX Edge IPsec VPN so that we can provide higher throughput and performance for IPsec tunnel by using Data Plane Dev Kit (DPDK) technology. For our technical developers, we have demonstrated a number of advanced networking capabilities like NSX micro-segmentation, which gives customers granular control over East-West traffic between application workloads running in VMware Cloud on AWS. With NSX, policies follow workloads wherever they are moved within VMware Cloud on AWS. Consistent operation is now available for granular flow and packet visibility, allowing customers to troubleshoot application and infrastructure problems more quickly. Customers can decide to deploy the tools on-premises or within VMware Cloud on AWS logical networks. Much of this innovation is a direct response to requests from our enterprise customers. Customer feedback helps us prioritize how and where we innovate next. Recently, customers asked us to ensure workloads that required compliance and regulatory certifications, attestation, and assessments are able to run on VMware Cloud on AWS. We responded by ensuring VMware Cloud on AWS is General Data Protection Regulation (GDPR) ready and compliant with major compliance certifications that include SOC 1/2/3, HIPAA BAA, and ISO 27001/17/18. We also heard your feedback regarding a desire to start the VMware Cloud on AWS journey with a smaller configuration. Prior to this release, the minimum cluster size was four hosts. In June, we introduced a new time-bound, Single Host Software Defined Data Center (SDDC) consumption option for customers to kick start their VMware Cloud on AWS on-demand hybrid experience at a low, predictable price. Service-life for the Single Host SDDC is limited to 30-day intervals. This option is designed for customers who want to prove the value of VMware Cloud on AWS in their environments before scaling to more than four hostlarger configurations for production environments. This can be purchased hourly on-demand and is payable via credit card or VMware credit funds. Adoption of VMware Cloud on AWS is accelerating in the enterprise as customers are able to migrate, run, and protect production workloads at scale to deliver business outcomes. For example, an online gaming company with data centers that had reached maximum capacity and needed to migrate to the cloud. By having a consistent on-premises and cloud environment, they were able to migrate 600 game development VMs seamlessly to the cloud without disrupting the business or changing their policies and internal procedures. Another customer in the finance sector needed to consolidate multiple businesses under one umbrella and wanted to avoid a disaster recovery (DR) data center renewal. They used VMware Cloud on AWS to migrate 350 VMs across three different data centers and replace their existing DR solution. MIT was able to start with a Proof of Concept (POC) and exceeded their expectations in the speed of data center evacuation, where they moved the initial 300 VMs in less than 96 hours. This was followed by a complete migration of all of their 2,800 production VMs to VMware Cloud on AWS. Figure 1 – Customers are using VMware Cloud on AWS to migrate workloads in virtually every industry. You can learn more about VMware Cloud on AWS, read all the APN Blog posts about VMware Cloud on AWS, and check out the roadmap on the VMware website. VMware is an APN Advanced Technology Partner. The VMware Cloud on AWS solution is an on-demand service that enables you to run applications across vSphere-based cloud environments with access to a broad range of AWS services.